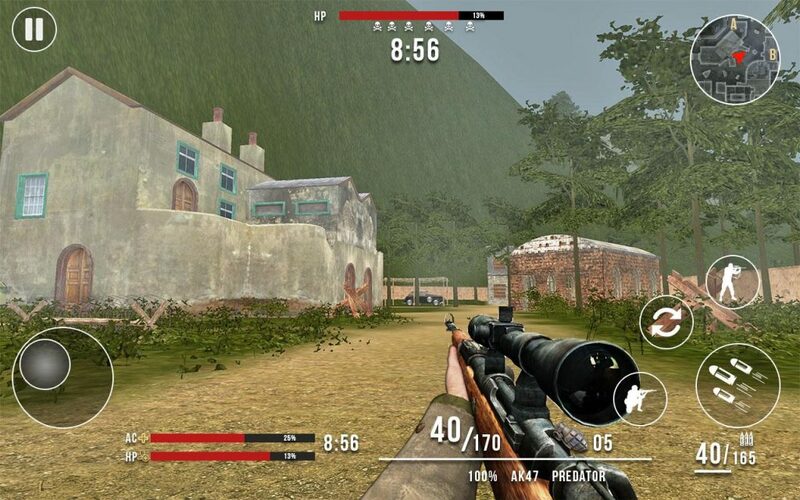 Test your sniper skills in this best sniper shooting game of world war 2. Either play as an American or Japanese pro sniper soldier. Enter the second world war mission and fight to defeat enemy soldiers in this free epic ww2 action fps game. American-Japanese military world operation in front war line free action game. Gain medals with honor by completing online military tasks using fast war equipment. 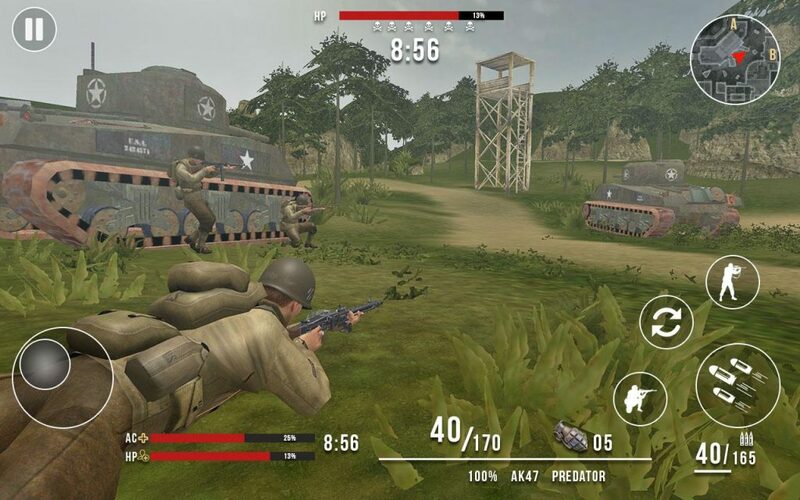 Players will face trials at every turn & must be quick to answer when called to American army duty in this free super awesome military action packed modern gaming environment based on historical 2nd world war. Stealth & technique is required to finish each military modern mission in 1911 to wreak havoc and destroy enemy’s hidden camp. 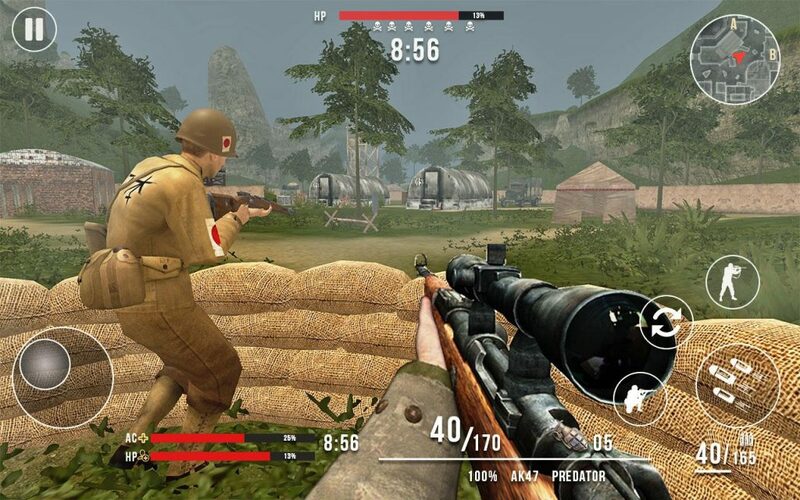 Using ww2 sniper equipment: ammo, sniper-rifle guns, special lenses, throwing hand grenades and military area map to locate Nazis base huts to annihilate them & become army hero in American vs Japanese Sniper free online historical 3D world war2 virtual game. This unique gameplay displays high quality of graphics and detailed designing. So tread towards the enemy hideout, taking aim using controllers that are easy to handle, fire at the opponent sniper soldiers. Players can enjoy realistic 3D sound-effects in game by downloading and playing this free fps online/offline 3D game.